Helping you get more out of your drive with fewer emissions, Toyota hybrid vehicles are packed with advanced alternative fuel technology. Offering efficiency, reliability, and power for the 21st Century — Toyota hybrids range from compact, mid-size, and full-size sedans to mid-size and full-size hybrid SUVs. Most Toyota hybrid vehicles take advantage of an advanced system known as Hybrid Synergy Drive®. If you open the hood you’ll find a traditional gasoline engine paired to an electric motor which work in tandem to produce outstanding fuel economy along with lowered emissions. When driving on the highway, these hybrids deliver performance similar to a gasoline-powered car. Around town, you’ll have the added benefit of smooth power delivery and a refined ride when the system is powered primarily on electricity. Depending on the situation, Hybrid Synergy Drive® systems have the ability to alternate between gas and electric power. Vehicles such as the Prius are able to drive solely on one form of power based on the scenario. At low speeds, the gasoline engine will not be in use. Under heavy acceleration, you’ll feel the gasoline engine come to life and deliver potent response in order to get you up to speed. Thanks to regenerative capabilities, energy normally lost during braking is recaptured and stored in the battery for later use. Aerodynamic exterior designs also help Toyota hybrids slice through the air and boost your MPG. 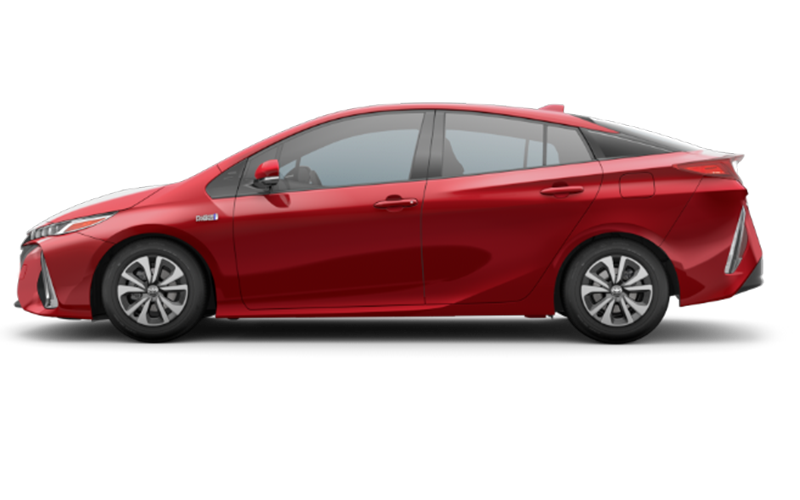 Perhaps the most iconic hybrid model in the Toyota lineup, the Prius stands out with chiseled body lines, advanced LED lighting, and an athletic stance on the road. With up to a 54 MPG city fuel economy rating*, spending time filling up at the pump is a thing of the past with the legendary Toyota Prius. Not only contributing to the eye-catching appearance of the Prius, functional aerodynamics allow it to cut through the air and maximize your efficiency. Hybrid Synergy Drive® helps you get the most out of both the gas and electric motors. 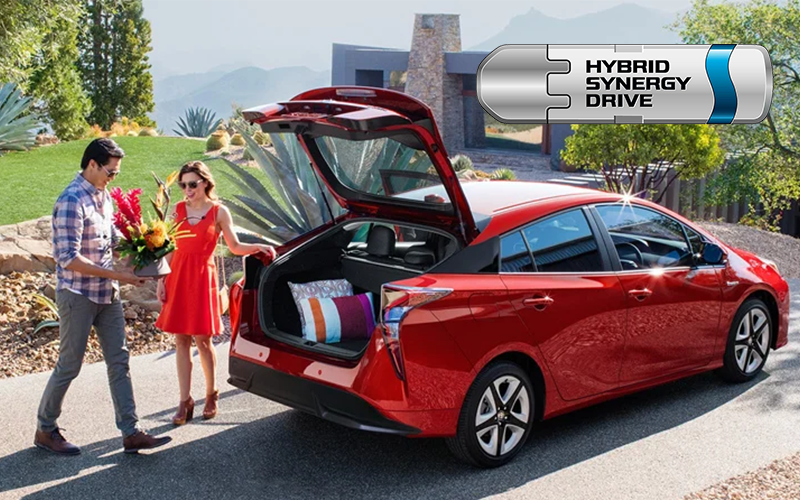 Featuring far more than exceptional gas mileage, standard tech equipment found on the Prius includes a Smart Key System, Entune™ Audio with 6-inch Touch-screen, and an Integrated Backup Camera. A stylish two-tone color scheme, bold body kit, and proven Hybrid Synergy Drive® technology help you hit the streets in style with the Toyota Prius c. Load up your passengers or cargo with minimal effort thanks to its 5-door flexibility. Take your adventures further than ever before with an exceptional 48 MPG city fuel economy rating*. Drivers can take advantage of two individual driving modes, drive information screen, an energy monitor, and an ECO savings data readout to monitor MPG. 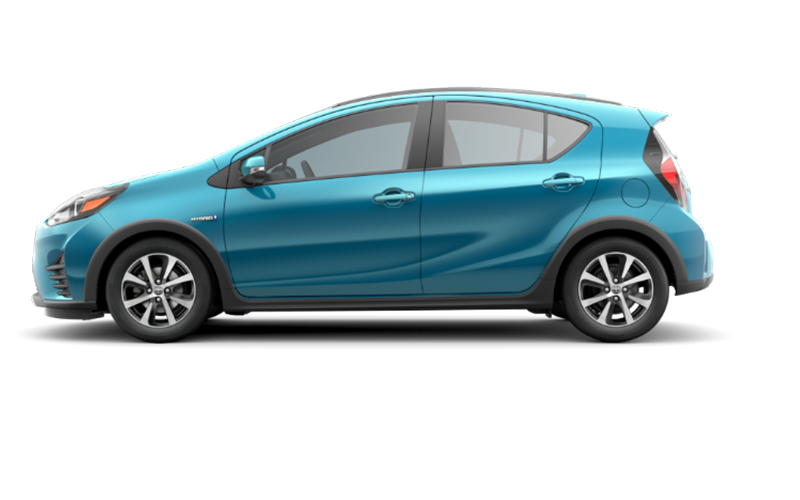 The eco-conscious focus of the Prius c continues inside with optional SofTex® seat trim material. This material weighs approximately half that of conventional leather and generates approximately 85% fewer CO2 emissions and 99% fewer Volatile Organic Compounds (VOCs) during the manufacturing process for a reduced environmental footprint. 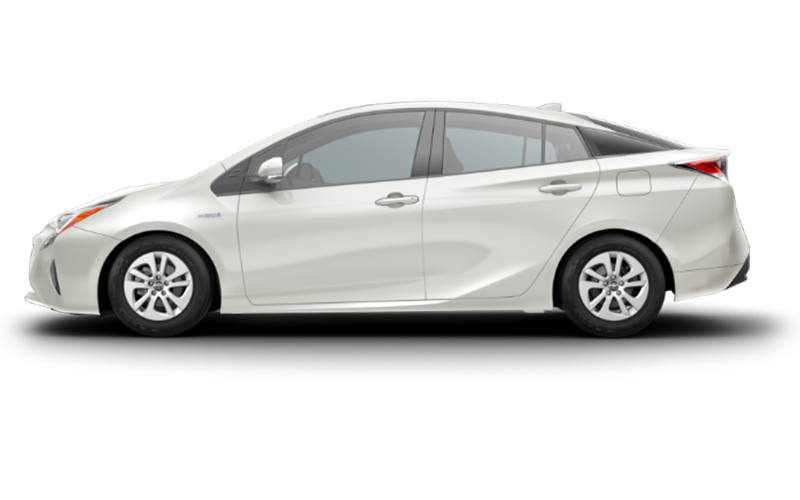 The Prius Prime has the honor of being the most efficient hybrid vehicle ever produced by Toyota thanks to its ability to run rolely in either EV or hybrid driving modes. Hybrid Synergy Drive® works alongside an optimized Plug-in Hybrid Vehicle (PHV) system to emphasize efficiency while maximizing performance. Fill up and drive your Prius Prime in hybrid mode and you’ll enjoy up to 55 MPG city fuel economy*. A unique ability of the Prius Prime is its capability of charging on a standard household outlet that allows you to drive exclusively on electric power while getting up to 133 MPGe*. In fact, the Prius Prime has a total EPA-estimated range of an impressive 640 miles*, among the highest in its class. Edgy styling, ingenious tech features, and cutting-edge lightweight materials make the Toyota Prius Prime a smart options for eco-conscious drivers. 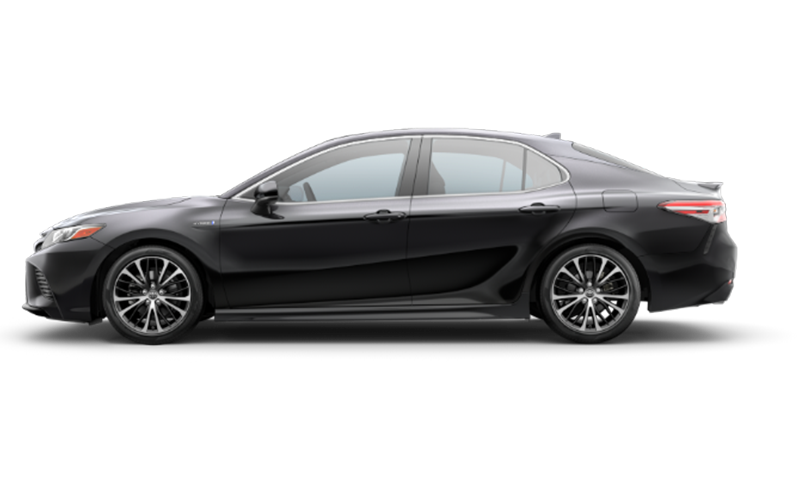 A perenial hit among midsize sedan buyers, the Toyota Camry Hybrid blends its sophisticated styling with invigorating driving dynamics and unparalleled efficiency. Hybrid Synergy Drive® works by combining the output of both the gas and electric motors in order to produce a balanced 176 horsepower and a 51 MPG city fuel economy rating*. This outstanding efficiency comes as a result of lightweight material construction, perfected aerodynamics, and an advanced exterior design. Select ECO mode to get the most out of every gallon of gas or choose EV mode for pure electric power for up to a half-mile under certain conditions. 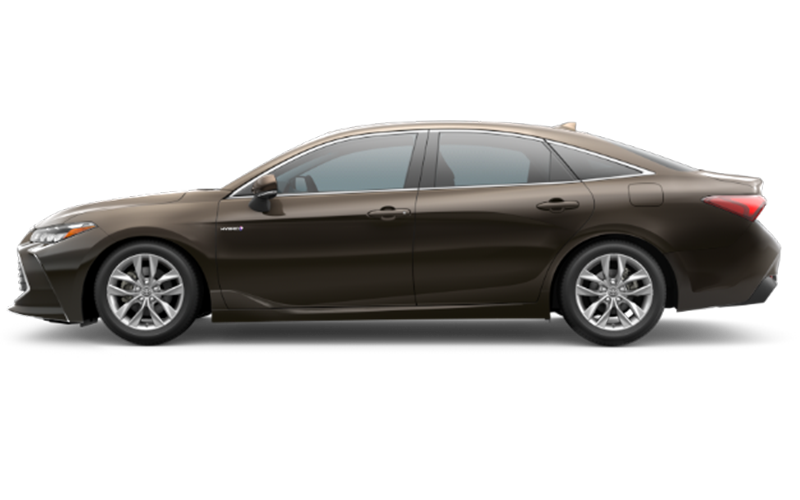 Camry Hybrid LE models offer tremendous value while SE and XLE models meet the needs of drivers craving luxury or sporty dynamics. Few midsize sedans offer premium luxury, elegant exterior styling, and outstanding fuel economy quite like the Toyota Avalon Hybrid. Performance comes from a 2.5-liter 4-cylinder hybrid engine with Hybrid Synergy Drive® technology which produces 176 horsepower. Experience an EPA estimated fuel economy rating of 44 MPG combined*, helping you make fewer visits to the gas station. This impressive fuel economy earns a Super Ultra Low Emission Vehicle (SULEV) rating for the Avalon Hybrid. Standard features found on all three available Avalon Hybrid trims include leather seating, Toyota Safety Sense™ P, Entune™ Audio Plus with Connected Navigation App, and a power tilt/slide moonroof. 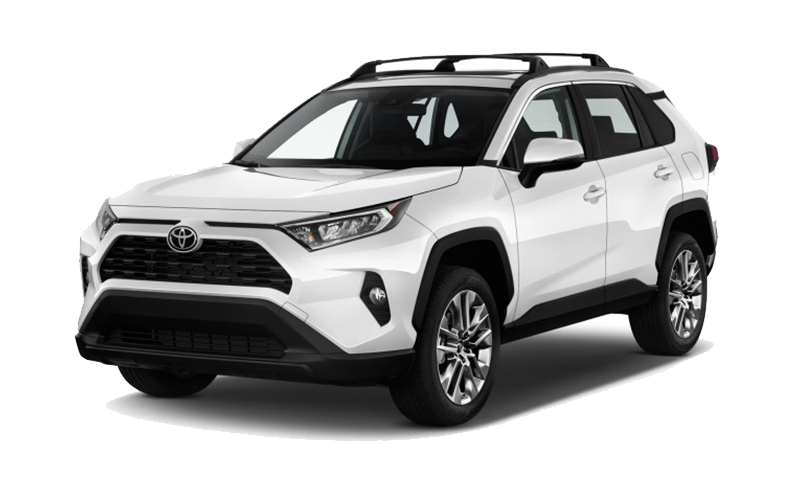 All-new for 2019, the redesigned Toyota RAV4 Hybrid provides a dynamic yet efficient new way to take your adventures further. Its 2.5-liter Dynamic Force 4-cylinder engine is paired to a Permanent Magnet Synchronous electric motor to deliver 176 horsepower in addition to a 41 city MPG fuel economy rating**. 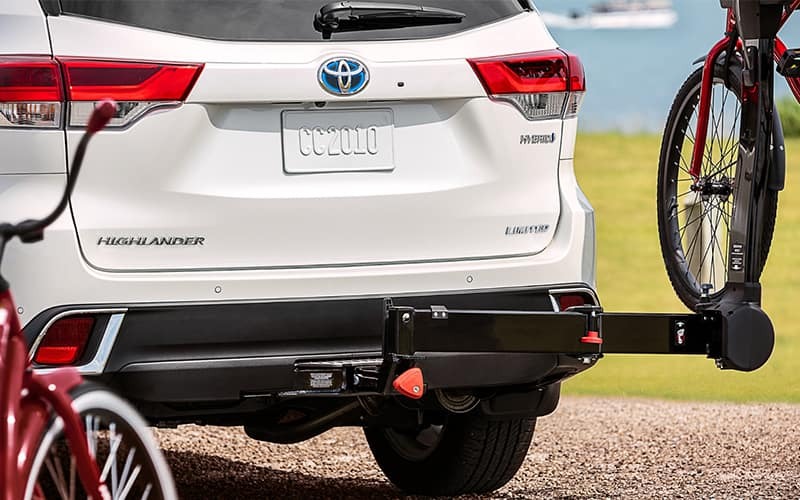 Available Dynamic Torque Vectoring All-Wheel Drive with Rear Driveline Disconnect allows you to travel where other hybrid SUVs fear to tread. Fewer trips to the gas station will make your wallet happy thanks to its 41 MPG city EPA-estimated fuel economy rating*. Standard Toyota Safety Sense 2.0 (TSS 2.0) adds even more peace of mind and confidence behind the wheel. Driving a fuel-efficient hybrid SUV no longer means making compromises on capability or performance. 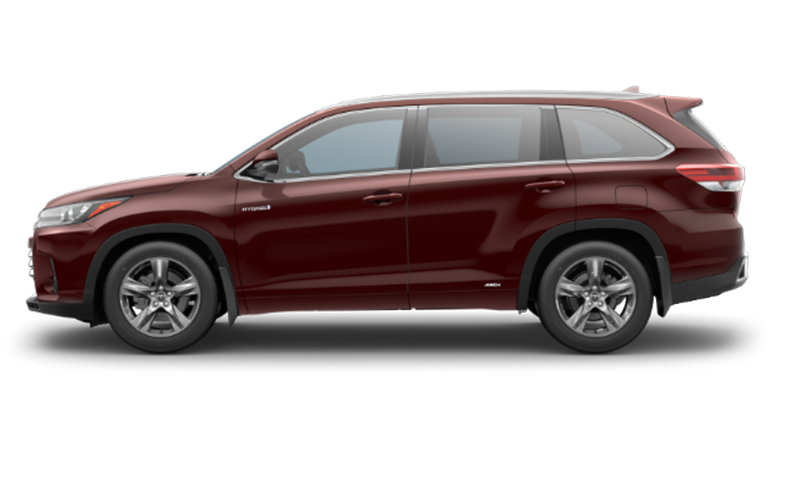 Experience satisfaction as you cruise past the gas station in your Toyota Highlander Hybrid with its exceptional 30 MPG city fuel economy rating*. You’ll always have the perfect amount of power thanks to its 306 hybrid system net horsepower which also gives you the ability to tow up to 3,500 pounds. Electronic On-Demand AWD system with intelligence (AWD-i) means that Highlander Hybrid stays composed and confident in even the most severe weather conditions. What Are the Advantages of Driving a Hybrid Vehicle? 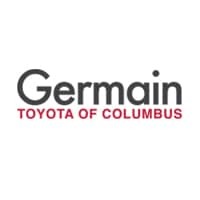 Hybrids are environmentally friendly – Driving a Toyota hybrid means that you’ll be making a less harmful impact on our environment as compared to a traditional gasoline-powered vehicle. These hybrids reduce fuel consumption and conserve energy through the use of both electric and gas power. Financial benefits – Spending less money on gasoline means that you’ll enjoy more money in your pocket. There are also several tax credits which could potentially make you qualify for even more savings depending on the hybrid vehicle you choose. Less dependence on fossil fuels – Using less fuel reduces our reliance on fossil fuels while simultaneously helping to reduce the domestic price of gasoline. Improved resale value – Due to their rapid growth in popularity, more and more drivers are shifting towards hybrid vehicles. Increased demand for hybrids results in increased values in the used market. *2018 and 2019 EPA-estimated mileage. Actual mileage will vary. Actual MPGe will vary depending upon driving conditions, how you drive and maintain your vehicle, and other factors. Battery capacity will decrease with time and use. For more information, see www.fueleconomy.gov.